It is 5:30 pm here, but at home it’s 5:00 in the morning. I leave Weihai tomorrow and make a stop in Beijing. Technically, I will be home tomorrow at 2:35 pm. 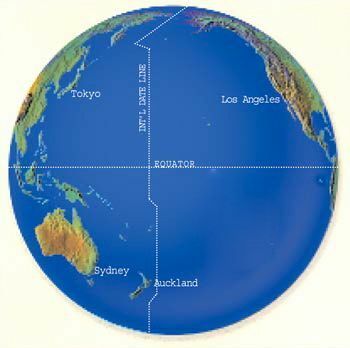 But I’m crossing the International Date Line. By Beijing time, my flight for the States leaves Tuesday at 12:45, and fly across the North Pole—this way is the quickest. According to Beijing time, I arrive in DC Wednesday morning. Date is a generalization, related to time.